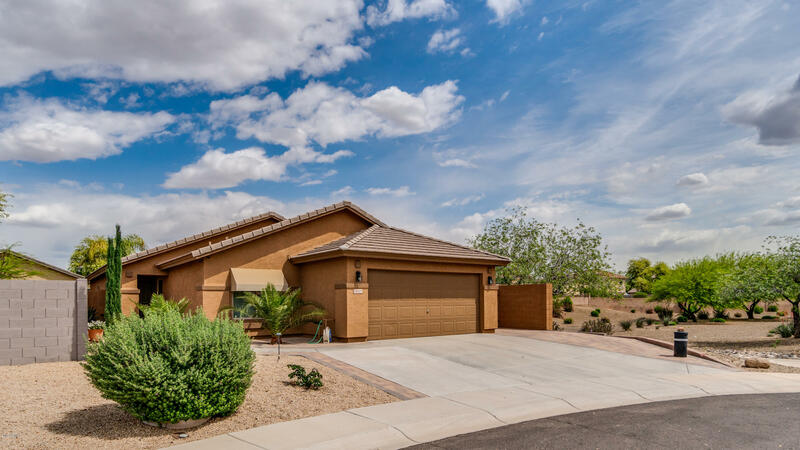 All SIERRA MONTANA PARCEL 16 homes currently listed for sale in Surprise as of 04/23/2019 are shown below. You can change the search criteria at any time by pressing the 'Change Search' button below. "Single level Home on a perfectly placed lot in desired Community of Sierra Montana. Community open space on one side of home gives the homeowner plenty of privacy. Stroll up the pavered walk-way into the small courtyard at the front door. Welcoming palette, with beautiful new floor throughout-No carpet! Open floor-plan, oversized living area and split-bedrooms are just a few of the PLUS items here! The smaller 4th bedroom just off living area could be used as an office/den or a formal dining are"